San Francisco-based Hinge Health, which makes a digital health platform for musculoskeletal (MSK) conditions, has raised $26 million in a Series B round led by Insight Venture Partners. Existing investor Atomico also contributed, increasing its stake in the company. This brings the company’s total funding to $36 million. 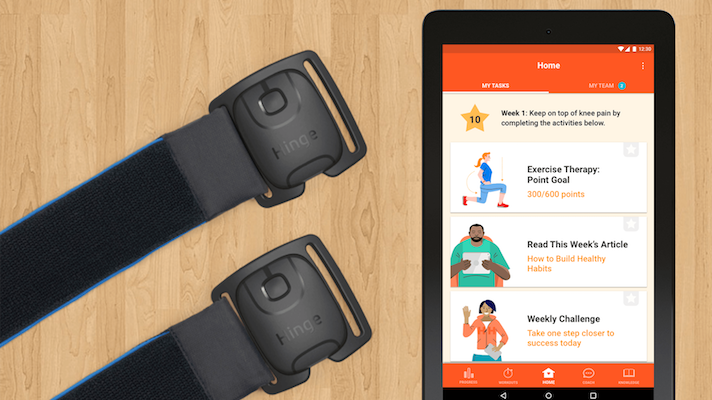 Hinge Health offers employers a three-part benefits program for MSK patients that includes app-based exercise therapy using wearable sensors, unlimited virtual coaching, and interactive patient education. The company plans to use the new funding to build out its sales and R&D teams, both to meet demand for its existing product and to develop offerings for additional MSK conditions. Hinge Health has been growing rapidly, with revenue increasing 50 percent quarter over quarter, Perez said. The company has also grown from 18 employees in July 2017 to more than 70 today, with plans to hire 30 more by the end of the year.